From the publication of Noam Chomsky's revolutionary Syntactic Structures in 1957, to the counter-revolutions that followed, linguistics has seen many fashions over the years. 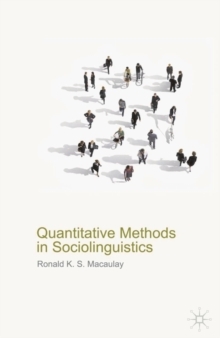 With new ideas and discoveries constantly challenging the ways we look at language, Ronald Macaulay provides a brief and lively introduction to some of the different approaches linguists have taken to the study of language in all its complexity. 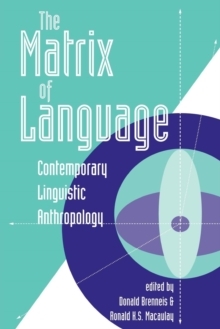 Considering language as Meaning, Sound, Form, Communication, Identity, History and Symbol, Macaulay examines the main issues, debates and ideas that have emerged in language study over the last fifty years. 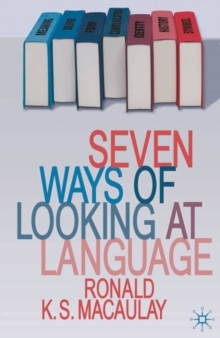 Designed for the intending student, as well as the non-specialist general reader with an interest in language, Seven Ways of Looking at Language concisely conveys a review of exciting work in the core areas of linguistics, including phonetics, syntax, semantics, language interaction, language variation, language change and the significance of writing. A helpful glossary, as well as detailed suggestions for further reading, makes this the ideal starting point for anyone wishing to learn about the study of language.